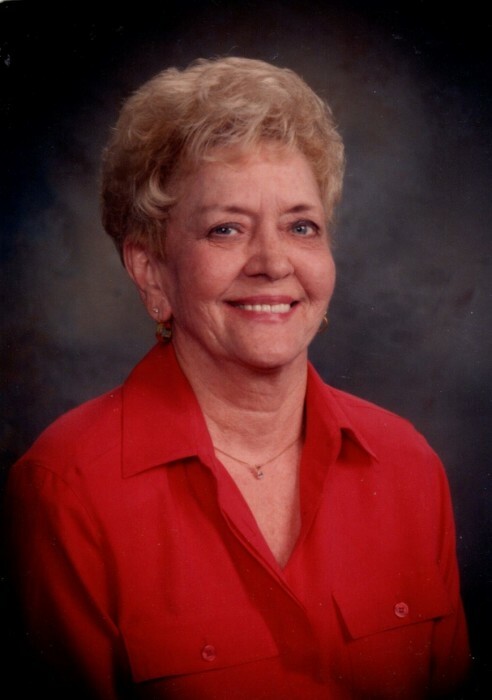 Annie Ruth Johnson, age 88, of East Dublin, passed away on Wednesday, March 20, 2019. Graveside services will be held at 11:00AM on Saturday, March 23, 2019 in Minter Cemetery. Rev. Ben Edwards and Rev. Kenneth Jones will officiate. The family will receive friends at the graveside before and after the service. Pallbearers will be Donald Warnock, Jack Warnock, Elvin Snow, Vick Thigpen, Bruce Mimbs, Harry Graham, and Condell Carter. Ruth graduated from Wilkes High School in 1948, at the age of 17. She looked forward to continuing her education, but three months later, she came down with polio and was completely paralyzed. After spending one year at Roosevelt Rehabilitation Center in Warm Springs, GA, she returned home with braces and crutches. Soon after returning home, she went to work at Laurens Memorial Hospital in 1952, the day it opened. Ruth continued to work at Laurens Memorial and later Fairview Park Hospital for 46 years. She received many awards including the Dr. Frist Humanitarian Award in 1987, the highest award given by the Hospital Corp. of America. She was chosen as Professional Handicapped Woman of the Year, sponsored by the Pilot Club, and was also Employee of the Month in 1988. Ruth lived a very normal, loving, and active life. She loved to travel and have fun and was admired by everyone. Ruth was preceded in death by her parents, Alvin and Bernice Warnock Johnson; siblings, Paul Johnson, Ellis Johnson, and Mickey Johnson; and special niece, Angela Diane Johnson. Survivors include her sister, Betty Scarborough (Andy), of Dublin; sisters-in-law, Geraldine Johnson, Janice Johnson, and Mabre Johnson; nephews, Shaun Scarborough (Brandi), Chuck Johnson (Kim), Alvin Johnson, and Christopher Johnson (Michelle); nieces, Lisa Jenkins (Allen), Renee Johnson Smith (Rufus), Tammie Johnson, and Kimberly Johnson Watson.